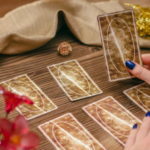 Get insight into the psychic path as only other psychics can offer it with our new series, Psychic on Psychic, where our psychics review readings with other psychics! Have you ever wanted to talk to an angel? My recent psychic reading with Shyla felt as if I was directly communicating with one. After reading Shyla’s bio and taking note of her gifted ability to provide advice to “move matters forward,” I called to discuss a financial opportunity that I had been offered, concerned about whether or not this would be a prosperous choice for me, and how it may affect my personal lifestyle. With her delicate soul and uplifting message, Shyla not only provided insight, but I believe she also blessed my new undertaking. At the beginning of our reading, Shyla informed me that she wanted to incorporate the Tarot, and spent a brief moment shuffling her cards. During this time, I was able to feel her focuing on my question and sensed her compassion while she processed the information she was receiving. I felt at ease. Her welcoming nature paved the way for what would be a great reading because I knew that regardless of the outcome, whether positive or negative, the message would be delivered with the upmost care. Once the important content of the message had been potently delivered, I felt as if there was a warm sigh of relief from her, as she returned to her gentle natured self and the remainder of the reading flowed with grace. Shyla is a divine channel. When speaking with her, I could see the illuminating white light surrounding her and angels by her side. She is a conduit, able to offer pure information, free from opinions or judgments, while providing specific advice for personal situations, which is just what I needed. Our reading left me glowing, feeling as though I had been touched by an angel, and I believe I was! Get empowered to follow your intuition as you create your life path! 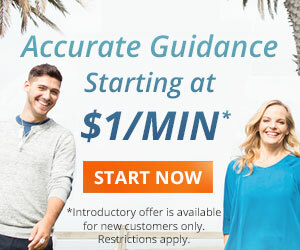 Talk to a psychic life coach to help you unlock your own unique path forward. 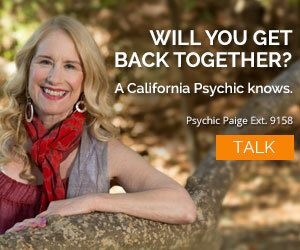 Call 1.800.573.4830 or select your psychic life coach now. I have always believed in pyschic power. It took me months to get the courage up to call your site. I finally called and was greeted by a very nice woman although i felt i got no real answers. It was nothing more than talking with a friend…i can do that anytime. I suppose i expected to much! I was told by a representative that i should of hung up and not wasted my money if the call was not working for me. My lose ..i chose to try it again hopefully finding a new pyschic this time. If not i will un-join this site! Even the young man helping me i found abrupt and not helpful. Is it always this way when someone trys to get answers? Thanks for sharing your wonderful expereince we are so lucky to have such a diverse group here.This was such a genuine heart felt moment of gratitude for Shyla’s gift. Hello Shyla, I love to see Psychics helping people and I do understand your point of view.What surprised me is you , Shyla. I read the bible and my life changed all people has a conversation whit angels but they dont realize that,but some whit God’s angels and other whit evil’s angels.People cannot understand that because the evil make sure to go to him and listen to his angels. One day I had a conversation whit someone ,wasn’t voice,I couldn’t see what was that,was no vision or something similar .If you can imagin was no talk but I could understand the meaning.After that I had to go back in the usualy things I do in the world.You’ll be surprised when I will tell you I was chose for the end of the world?